Finnair invited me to Helsinki to host an airline food trend presentation for their staff at their headquarters. 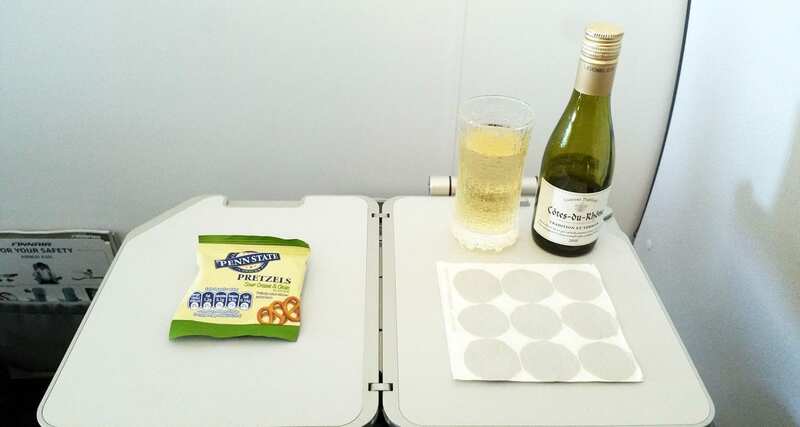 They arranged my flights for me, and I flew from Frankfurt to Helsinki, then Helsinki to Brussels and I was lucky enough to be booked in business class. I won’t comment on the service as it’s not a normal flight situation. 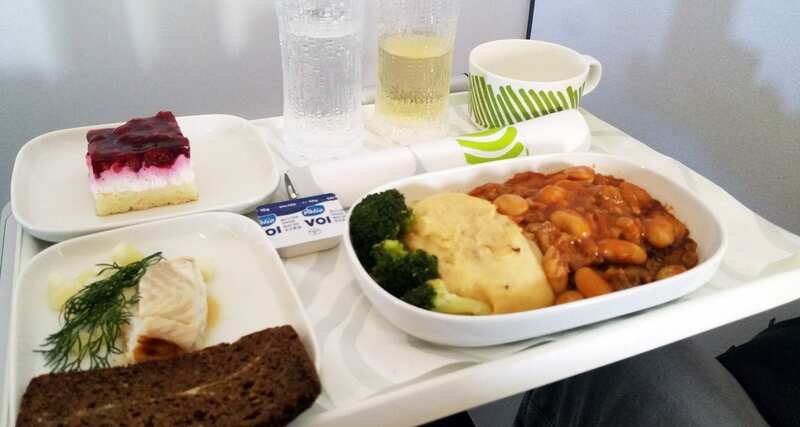 I’ve always liked Finnair I have flown them a few times before and I find their inflight meals to be of great quality and relevant to their culture. Finnair has collaborated with the Finnish design house Marimekko, which was established in Helsinki back in 1951, to create a range of inflight service wear as well as amenity kits and pillows and blankets. (You will most likely see amenity kits and pillows/blankets on long-haul services). 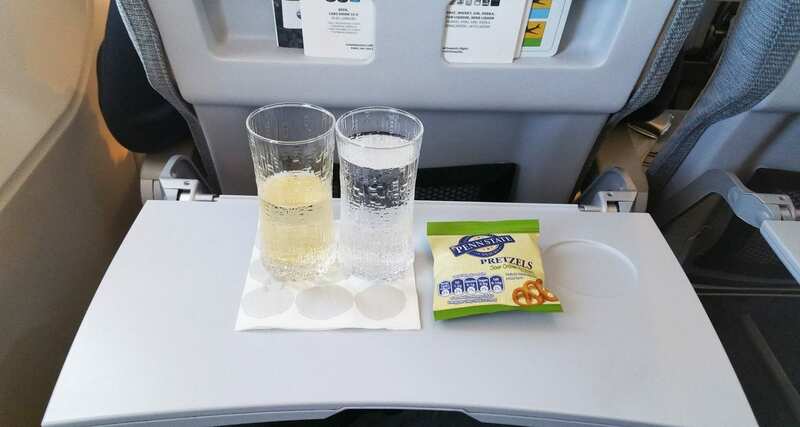 First flight was from Frankfurt to Helsinki, right after take off the cabin crew came through to offer drinks and a small snack. I loved the glasses that they use inflight, and when I noticed them in the Finnair shop at their Helsinki HQ, I purchased two. Entree: Smoked fish with apple. Traditional Finnish bread. Pork stew with beans broccoli and mashed potato. Finished off with a raspberry cake. 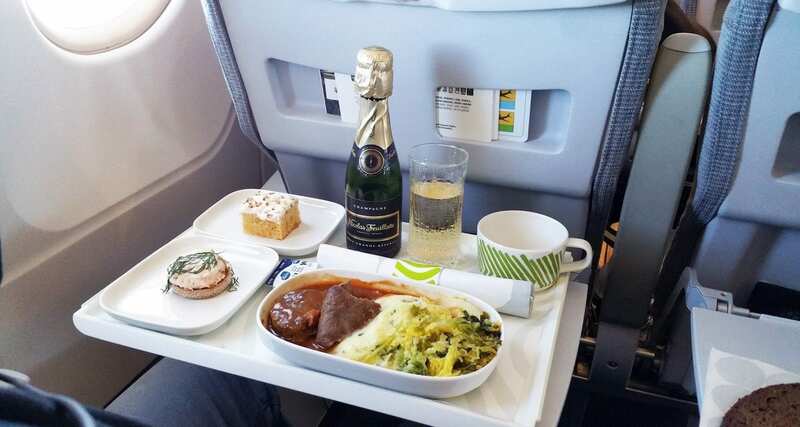 It was the middle of winter when I took this flight, and I distinctly remember thinking how lovely this meal was. Not only from a taste point of view but how it was so comforting to eat in the middle of winter. It wasn’t too heavy at all, and just the right amount of food. The following day I flew from Helsinki to Brussels. Another delicious meal, this time I enjoyed a salmon entree, followed by beef served in a Finnish mushroom sauce with mashed potatoes and vegetables for dessert a piece of carrot cake. Again another lovely meal, but if I had to choose between the two, I’d have to say I enjoyed the first meal offering although the second meal photographed better.